LTE – Long Term Evolution is a technology standard for high-speed wireless communications through cellular networks. Large telecommunication companies around the world have integrated LTE into their networks by installing and upgrading equipment on cell towers and in data centers. What Types of Devices Support LTE? Devices with LTE support began appearing in 2010. Higher-end smartphones starting with Apple iPhone 5 feature LTE support, as do many tablets with cellular network interfaces. Newer travel routers have also added LTE capability. PCs and other laptop or desktop computers generally do not offer LTE. A technology called LTE-Advanced improves on standard LTE by adding new wireless transmission capabilities. LTE-Advanced supports a theoretical maximum data rate more than three times that of standard LTE, up to 1 Gbps, allowing customers to enjoy downloads at 100 Mbps or better. Is LTE a 4G Protocol? The networking industry recognizes LTE a 4G technology along with WiMax and HSPA+. None of these qualified as 4G based on the original definition of the International Telecommunications Union (ITU) standards group, but in December 2010 the ITU redefined 4G to include them. While some marketing professionals and press have labeled LTE-Advanced as 5G, no widely-approved definition of 5G exists to justify the claim. LTE is broadly deployed in urban areas of North America and Europe. Many larger cities on other continents although have LTE rolled out, but the coverage varies greatly by region. Many parts of Africa and some countries in South America lack LTE or similar high-speed wireless communication infrastructure. China has also been relatively slow to adopt LTE compared to other industrialized nations. Those living or traveling in rural areas are unlikely to find LTE service. Even in more populated areas, LTE connectivity can prove unreliable when roaming due to local gaps in service coverage. Does LTE Support Phone Calls? LTE communications work over Internet Protocol (IP) with no provision for analog data such as voice. Service providers normally configure their phones to switch between a different communication protocol for phone calls and LTE for data transfers. However, several voice over IP (VoIP) technologies have been designed to extend LTE to support simultaneous voice and data traffic. Providers are expected to gradually phase these VoIP solutions their LTE networks in the coming years. Does LTE Reduce the Battery Life of Mobile Devices? Many customers have reported reduced battery life when enabling the LTE functions of their device. 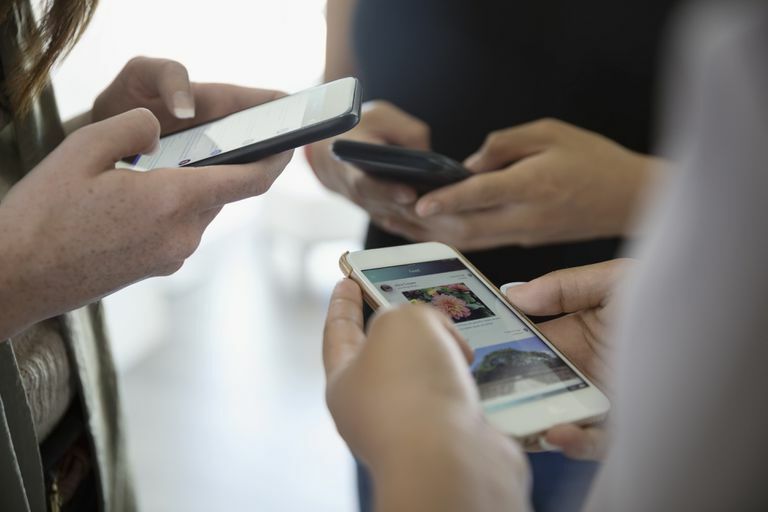 Battery drain can happen when a device receives a relatively weak LTE signal from the cell towers, effectively making the device work harder to maintain a stable connection. Battery life also decreases if a device maintains more than one wireless connection and switches between them, which can happen if a customer is roaming and changing from LTE to 3G service and back frequently. These battery life complications are not limited to LTE, but LTE can exacerbate them as the availability of service can be more limited than other types of cell communication. Battery issues should become a non-factor as the availability and reliability of LTE improves. How Do LTE Routers Work? LTE routers contain a built-in LTE broadband modem and enable local Wi-Fi and/or Ethernet devices to share the LTE connection. Note that LTE routers do not actually create a local LTE communications network within the home or local area. Similar security considerations apply to LTE as other IP networks. While no IP network is truly secure, LTE incorporates various network security features designed to protect data traffic. Is LTE Better Than Wi-Fi? LTE and Wi-Fi serve different purposes. Wi-Fi works best for servicing wireless local area networks while LTE works well for long-distance communications and roaming. How Does a Person Sign Up for LTE Service? A person must first acquire an LTE client device and then sign up for service with an available provider. Especially outside the United States, only one provider may service some locales. Via a restriction called locking, some devices, primarily smartphones, only work with one carrier even if others exist in that region. Which LTE Service Providers Are Best? The best LTE networks offer a combination of wide coverage, high reliability, high performance, affordable prices and great customer service. Naturally, no one service provider excels in every aspect. Some, like AT&T in the U.S., claim higher speed while others like Verizon tout their wider availability. Should You Use WiMax Or LTE Technology for Mobile Broadband?